Sending a package can be very expensive depending on distance and weight. But there are ways to make the process cheaper and more economical. Check out this guide to economy shipping. Does your business send out packages to customers on a daily basis? If you rely on courier services but don’t understand the tactics to reduce costs, your business could suffer from overspending. Keep in mind there are a lot of parcels delivered in the United States, with more than 13 billion parcels delivered in the country in 2016. That’s an equivalent of $96 billion spent in sending all those parcels! What if you’re sending large quantities of products or cool gadgets as a part of a business process or a personal gift? You need to save as much as you can with economy shipping. Not sure how to start? Here are some expert strategies you can try. In most cases, the courier’s price for your parcel depends on how heavy and big it is. If you’re using a lot of packaging for your parcel, you’re increasing both its size and weight. With that, you might end up paying more than what’s necessary–regardless of whether you’re sending individual or bulk packages. Always make sure that you’re packing the item with the smallest amount of packaging possible for the item. Do these while ensuring that you’re not compromising the adequate protection provided by the packaging. As an example, you can try using a padded jiffy bag instead of a small but bulkier box. Another good way to save on your shipping costs is to remain as accurate as you can with your package’s weight and descriptions. The more accurate you are, the less likely it will be for you to get overcharged. After all, it’s easy for you to underestimate the shipping fee if you only provide relative weight and dimensions. With the use of the internet, you can compare different courier prices. Some even display PayPal shipping rates. There are a lot of websites that offer great comparison services. These allow you to get the cheapest rates from the top courier companies around. You can also check certified mail labels online to skip on postage and help you save more money. Comparing the rates will allow you to get the cheapest option out there. But it’s important for you to look past prices and check on other things that the courier can provide. After all, cheap doesn’t always equate to good–especially when you end up with unreliable courier companies. Choosing these couriers can leave long-lasting negative effects on your customers if you use them for your business. With some parcels arriving damaged (or never turning up at all), choosing the wrong courier will cost you customers in the long run. This might seem to add more expenses to your package delivery. But using parcel tracking will make you save more money in the long run. After all, this means that you avoid getting charged with fraudulent claims made against you. It’s especially important if the company loses or ends up damaging your parcels. Without tracking, there is no way for you to tell your parcel’s current location. That means you can’t advise your recipient about it or even know if the package got delivered. Getting the tracking service allows you to know the parcel’s exact location as well as the possible timeframe for it to get delivered. Another benefit of tracking is to ensure that the risk of the package going missing is at a minimum. 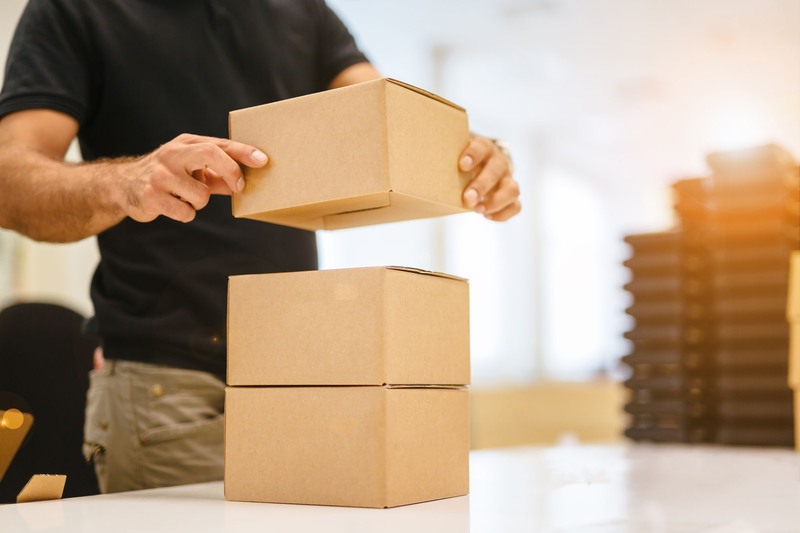 If you’re running a business and the package disappears, its recipient can file a fraudulent claim that can cost you a small fortune. Don’t let this happen to you. Use a tracking service to protect yourself or your business. Delivery on its own isn’t the most expensive part of sending parcels. In most cases, it’s the packaging itself that makes the whole process more costly. If you only send out packages a few times per month, you can still benefit from buying your packaging in bulk. A lot of suppliers are willing to give discounts if you place a bulk order for packaging. Depending on the number of packaging supplies you order, you’ll save a lot of money in the long-term. This is a great way for you to minimize costs if you’re a business that sends out parcels on a regular basis. Often, international package delivery services require additional preparations and research. It’s always a good idea to compare as many international services as you can. You’ll discover that the costs for international parcel delivery can vary on wide margins. Take the time to compare the most viable options you have. Make sure you have a deep understanding of the rules and regulations that you might encounter when you send packages to other countries. This ensures you’re not sending parcels that might be illegal in its destination. As you can see, there are a lot of ways for you to cut the costs of sending parcels–no matter the location. Whatever your situation may be, there’s a set of tips and tricks out there that can help you save money, from packaging to courier service provider. That way, you can develop good economy shipping practices regardless of whether you’re an individual or a business. If you need more tips to improve your lifestyle, we have a lot of posts that can help you. Visit us today and read our other posts to help you run a successful business.